‘Leasehold enfranchisement’ is a complex area requiring specialist legal advice. It includes the processes of lease extension, freehold acquisition and correction of management problems within residential leasehold properties. Trethowans LLP are members of ALEP. ALEP (the Association of Leasehold Enfranchisement Practitioners) is an association of professionals experienced in the residential leasehold sector. 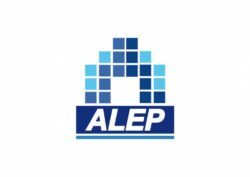 Membership of ALEP is an assurance to leaseholders and freeholders that they can be sure of a consistently high level of service, integrity and professionalism. All member firms are rigorously vetted so you can be confident that we have a proven track record in leasehold enfranchisement. When you buy a leasehold property, you are buying the remaining years on the original lease granted by the original freeholder (landlord) to the first leaseholder (flat owner) i.e. the first person who bought the lease from new. From that date, the lease continues to reduce in length. The shorter the lease becomes, the more difficulties you will find you have in selling it. You should think about extending a lease with less than 90 years left to run. If you do not know how long you have left to run, let us know and we will help you check this. Once the remaining lease term drops below 80 years, the lease premium (the purchase price payable to the landlord) becomes more expensive. For this reason, it is becoming more common that mortgage lenders or buyers will want a lease with 85 years or less left to run to be extended. When the remaining lease term drops below 80 years, buyers may also want a lease extension carried out before they purchase the property – if their solicitor is prudent, the buyer will have been warned that a lease extension is likely to be necessary during their ownership, at a cost to them. Mortgage lenders do not like to lend on ‘short’ leases. When a lease drops below 70 years lenders may refuse to lend on the property; it can make it very difficult to sell your property, as you are then limited to cash buyers who are happy to take on the property without a lease extension – such buyers are also likely to want a significant reduction in the purchase price in the knowledge they will have to pay for the lease extension themselves in the future. As your lease becomes shorter, it will become more expensive to extend your lease. It is therefore more cost effective to extend your lease at your earliest opportunity. When should I extend my lease? You should not let your remaining lease term drop below 80 years left to run; otherwise there is a significant increase in the premium payable to your landlord, as an additional form of consideration known as ‘Marriage Value’ becomes payable to the freeholder. The Leasehold Reform Housing and Urban Development Act 1993 enables most flat owners who have been the registered owner of their leasehold property for at least two years to compel their landlord to grant them a lease extension. The terms of the lease extension are fixed, so that you receive an extra 90 years on top of your remaining lease term, and that the ground rent becomes a ‘peppercorn’ (this is a legal way of recording a nil ground rent). The process is quite onerous and it is vital that you seek expert legal advice from a an experienced specialist lease extension enfranchisement solicitor. Please see contact Laura Russell to discuss your particular circumstances further and obtain our statutory lease extension information sheet for further information on the statutory process and costs involved. Unlike statutory lease extensions, there are no minimum ownership requirements for a informal lease extension. A informal lease extension is one in which the parties negotiate the terms. The landlord is not obliged to grant you a lease extension in this way and, much like a house purchase, until the final documentation is signed and completed, both parties are at liberty to withdraw from the transaction. The advantage however is that you are able to ‘top up’ your lease; for example if your lease is currently at 83 years remaining, you may want to simply add another 16 years to bring the term back up to 99 years in order to sell your property. Your freeholder can also retain a ground rent in a informal lease extension – but you should be wary if they try to increase it. By buying a shorter term and allowing the freeholder to keep a ground rent income, you are often able to pay less of a premium for your lease extension, and the legal costs will usually be lower compared to the statutory option. Please note that this is not an exhaustive advice on lease extensions and you should discuss your individual circumstances with us. You will require individual specialist advice and separate costs estimates for more complex situations such as having an absent/missing/insolvent freeholder, were you are acting under a Grant of Probate, or where you want to assign the benefit of a Statutory Notice to your buyers. Contact Laura Russell for further information. How can I acquire the freehold of my flat? Collective Enfranchisement is a legal term used for group of leaseholders (flat owners) proposing to buy the freehold of their building in accordance with a piece of law which entitles them to do this. Buying the freehold from your landlord can be done privately, by negotiating with the freeholder, which we can assist you with, but if the landlord does not want to sell the freehold to you voluntarily the law provides that a group of leaseholders (meeting the necessary eligibility requirements) the ability to compel the landlord to sell the freehold to them. The law relating to Collective Enfranchisement is very complex and full of pitfalls; you should seek the expert advise of a solicitor experienced in enfranchisement. Please see contact Laura Russell to discuss your particular circumstances further and obtain our collective enfranchisement information sheet for further information on the statutory process and costs involved. Subject to certain eligibility requirements, a landlord wants to dispose of their freehold ownership will first need to offer it to the flat owners in the block; they will serve the flat owners with Offer Notice under Section 5 of the Landlord and Tenant Act 1987 informally known as a ‘Right of First Refusal Notice’. In order to take advantage of the right to acquire the freehold, enough of the flat owners will need to join together to serve an Acceptance Notice on the landlord. More than 50% of the qualifying leaseholders must be willing to join in this process. So, for example, there are 10 flats in the building then at least 6 of you must join in with this procedure. It is vital that you seek expert legal advice straight away if you have received such a notice, as if you miss the deadline to serve the Acceptance Notice, the landlord is free to sell the freehold to a third party. Please see contact Laura Russell to discuss your particular circumstances further and obtain our ‘right of First Refusal’ information sheet for further information on the process and costs involved.